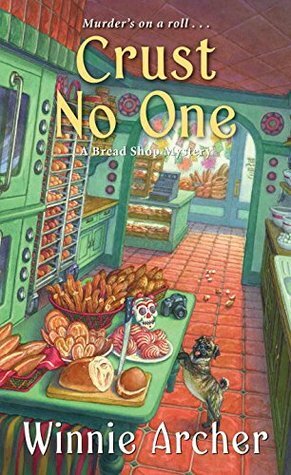 A new author for me and the second book in Bread Shop series. I found a well-written story and a lot of originality in the book. Also, I felt the characters were swallowed and I did not connect with them. I had difficulty staying with the book. Ivy Culpepper is a working at the Yeast of Eden which is located in her hometown of Santa Sofia. The owner, Plays Solid is teaching her about baking bread. Ivy becomes aware of the Blackbird ladies and with Penny Branford to look for Hank “Mustache Man” Riviera who has disappeared. The twists that the tale takes will lead you around the area looking for Hank. You expect that the body will be found several times. Ivy reconnects with Michael Baptista, her high school boyfriend who is also looking for Hank. Ivy is looking for answers to whether Hank is dead? Will a romance develop between Ivy and Michael again? Disclosure: I received a free copy from Kennington Books through NetGalley for an honest review. I would like to thank them for this opportunity to read and review the book. The opinions expressed are my own. This entry was posted in Uncategorized and tagged cozy mystery, Ivy, Mustache Man, Winnie Archer. Bookmark the permalink. I think I read the first book in this series. The title is cute, but I’m going to trust you on this one and pass it up.